Our world is in the midst of a pet obesity crisis. There are some pretty scary statistics when it comes to our pet’s obesity problem! According to the Association for Pet Obesity Prevention (APOP) nearly 59 percent of cats and 54 percent of dogs are affected. The sad thing about this is that obesity is the greatest risk to our pet’s health and wellbeing that there is. Luckily, obesity is a problem that can be fixed. It does take time, effort and just a little bit of willpower, but it can be done. Obesity is a nutritional health disease that is defined by excess body fat. Once an animal is over 15% of its optimal body weight, we define that animal as being overweight and up to 20% over as obese. While there are some medical issues that can result in weight gain, these only account for around 5% of all the animals that are overweight. The main cause of obesity in dogs and cats is very simple – we are feeding them food that provides far too many calories for the amount of physical activity they do. I hear you scream! Hehe….yes and no…we will talk a little more about this later. Along with too many calories, often the type of food can be an issue too. There appears to be a correlation between weight gain and inexpensive food and for cats, free-range feeding doesn’t help matters. Lack of physical exercise is the second major issue we see with many pets. Not only does exercise help provide mental enrichment it can help maintain and stabilise the weight of your pet. As animals age, it is natural for them to slow down, and that means for many, they physically can’t do the amount of activity that they once did. We, therefore, have to adjust what we feed to accommodate this. Research by Allaway et el, (2017) has shown that in cats, early desexing (spey or neuter) can help to modify potential weight gain later in life. Weight gain after desexing is due to an increase in food intake rather than a decrease in energy expenditure. We can’t blame hormones for this cause! Dare I say it but there does seem to be a correlation where owners who are overweight having pets that are overweight. Whether this is a function of ‘too much love’, feeding too much or lack of exercise is unknown. What it does do though, is make it very difficult to have the discussion about weight loss. Some behaviours that our pets have can also lead to an increase in weight. The meowing by your cat at all hours of the night, only stopping when you feed is one such example. Why is pet obesity a problem? You may think vets are being pedantic, or even rude, when we continually bring up your pets weight problem. It’s for a very good reason. Overweight pets do not live as long and are not as healthy as pets of ideal weight. A lifetime study of Labrador retrievers showed that dogs live almost two years less if they’re overweight. A pretty long and exhausting list! So do you think your pet needs help to lose a few kilograms? You can download a body condition score sheet for your cat and dog to assess them at home. 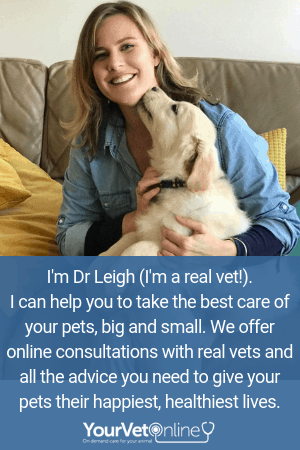 If you are worried, then get in touch…Dr Leigh is taking a 12 week Pet Fit Program to steer your pets into shape! This program gives you one on one personalised advice about nutrition for your pet over the course of 12 weeks. We want to see your pet living a longer and healthier life. If you want to learn more about how to help your pet lose weight then watch our tutorial on Top tips to help your dog or cat lose weight here.